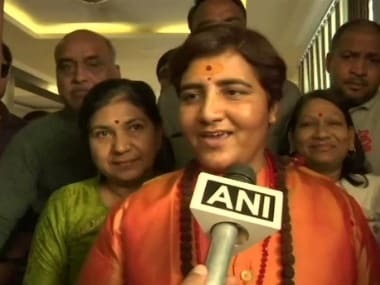 BJP leader Sadhvi Pragya Singh Thakur, facing trial in the 2008 Malegaon blast case, will contest the Lok Sabha election from Bhopal against Congress leader and former Madhya Pradesh chief minister Digvijaya Singh. 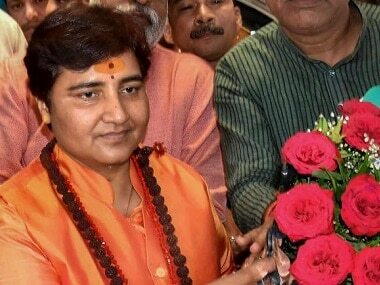 A post-graduate in history, she worked with the RSS' student wing Akhil Bharatiya Vidyarthi Parishad and Durga Vahini, women's wing of the Vishwa Hindu Parishad. The Indian Express further reports that her father Chandrapal Singh Thakur had been actively involved with RSS. On 29 September, 2008, six people were killed and over 100 injured when a bomb went off near a mosque in Malegaon in north Maharashtra. According to the prosecution, it was the handiwork of a Hindu extremist group. 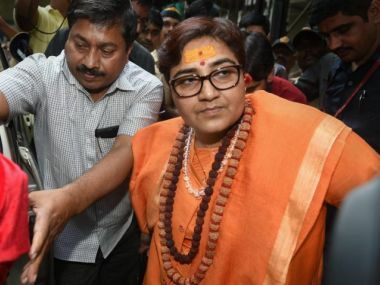 Arrested in the 2008 Malegaon blast case, Thakur was given a clean chit by the National Investigation Agency (NIA) in 2015, but the trial court refused to discharge her from the case. 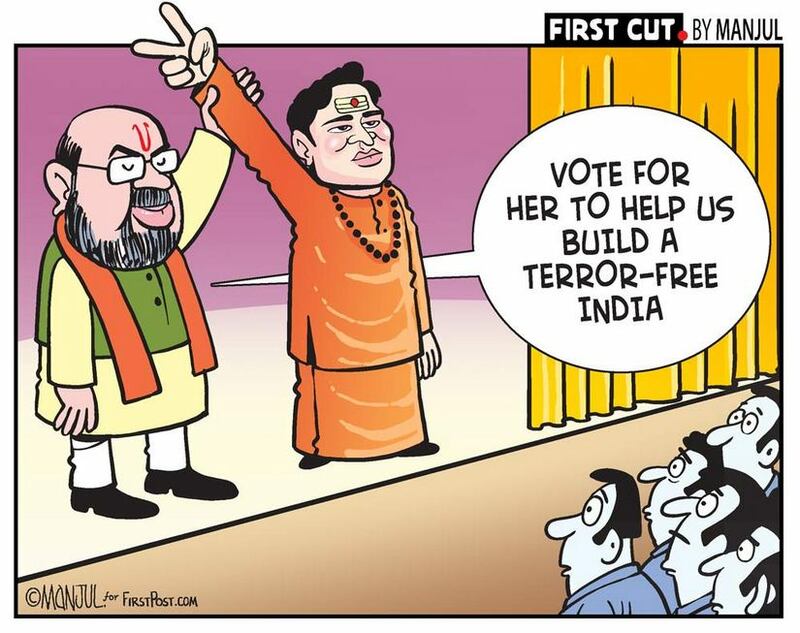 Significantly, the NIA had said there was no evidence against Thakur, but the court had said it was difficult to accept NIA's claim that she had nothing to do with the crime, given that her motorcycle was used in the blast. "There is evidence to suggest that the accused number one (Thakur) had knowledge about involvement of her motorcycle," the court had said in its ruling. "[Thakur] had also expressed dissatisfaction about causing less casualties in the blast. Hence, it is difficult to accept submissions on behalf of the NIA and the accused number one that she had no concern with the present crime," the court had also said. The court had dropped the charges under the Maharashtra Control of Organised Crime Act (MCOCA) against her, and she is now being tried under the Unlawful Activities (Prevention) Act. 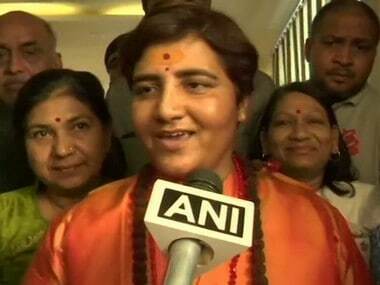 Thakur has rejected all the allegations made against her in the case and has called them part of "a Congress conspiracy", a claim which has also been supported by BJP. She has also alleged that she was tortured during her stay in prison by the Maharashtra Anti-Terrorism Squad (ATS) and state police. According to a report in The Times of India, Thakur had given a statement on video over this issue to a team of lady officers from Maharashtra police. Thakur had claimed that "the Maharashtra police beat her with leather belts through the nights, starved her for 24 days without even a morsel of food, gave her electric shocks, verbally abused her and made her listen to objectionable pornographic recordings in the company of male undertrials." Huffington Post further quoted Thakur as saying, "I call Digvijaya Singh ‘dikbhramit’ because his direction is never right. He conspired against over personal vendetta."